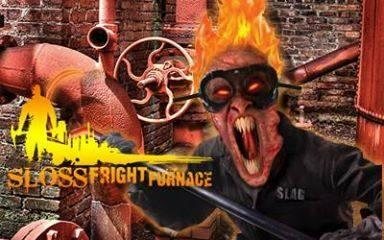 Sloss Fright Furnace creates a terrifying experience that takes you into the deepest, darkest parts of the furnace. 2 TRAILS! TOUR THE FURNACE Slag's Revenge TOUR THE WOODS Descent into Darkness. Explore new locations normally closed to the public including the terrifying Boiler Room, home to hundreds of paranormal encounters. Make your way though our newly designed trail including the furnace catwalk, underground tunnels, and new dark passageways that force your group to go single file–leaving you completely exposed. Experience all new 3D maze, complete with killer clowns and spinning vortex that bring grown men to their knees weeping with fear. Encounter Slag in his inferno, run from deranged serial killers, crawl through cockroaches, and try to escape chainsaw wielding hillbillies. Our Hollywood Special Effects team has loaded the trail with dozens of monsters, surprises, effects, and scenes throughout your tour. Outbreak 2 is designed for people who want to experience the zombie apocalypse. Filled with crawl spaces, climbing walls, tunnels, and more, you will zig and zag through a terrifying obstacle course with zombies trying to infect you at every turn. When you first enter the furnace, we don’t make you wait in line. You receive a pass, and relax in our fully equiped Roadkill Cafe until your group is called. Watch the freaks while you are waiting, have your palm read, watch a vampish vixen swallow fire, experience an illusionist who plays with your head, register for prizes, or check out classic horror movies projected onto a 25 foot screen. On special nights, you can enjoy live entertainment on our Stages of Death. Stages of Death offers the most unique entertainment you won’t find anywhere else! 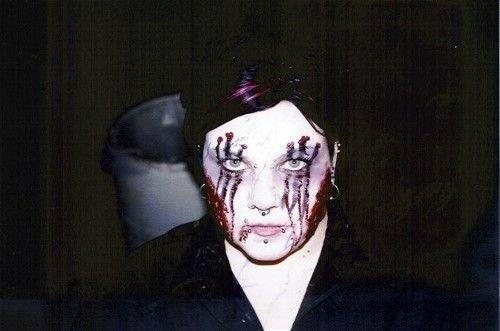 From Fire-Eaters to Freak Shows, Live Bands to Danger Acts, you never know what you will find when you visit Sloss Fright Furnace. The line up for Stages of Death is constantly changing so you never know what you will see until you get here. Visit our outdoor movie theater featuring continuous running horror flicks projected on a giant 25 foot screen. Sometimes our monsters escape their trails and make their way down to the Marathon of Horror for some easy feeding. The Conjuring Room happens to be a real house that was used back in the early 1940’s as a real seance room for rasing the spirits of the dead. Mrs Edna Hill was a medium that lived on a plantation in south Georgia where her husband and family grew cotton. Edna had people from all over the country visit her to talk to loved ones that passed. 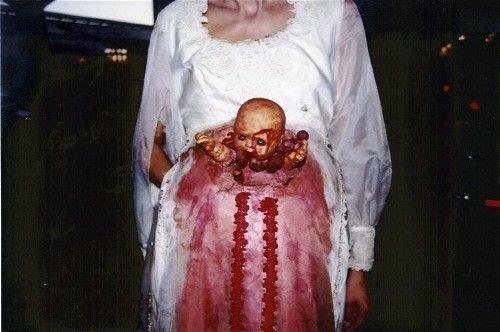 But only night during one of her rituals something went wrong and something else passed through a supernatural doorway into the room. This is a rare opportunity for the general public to enter a genuine seance house and possibly have a real paranormal experience.